Maple Ridge hires law firm p1 ! Sec.177 hate crime & lies ? 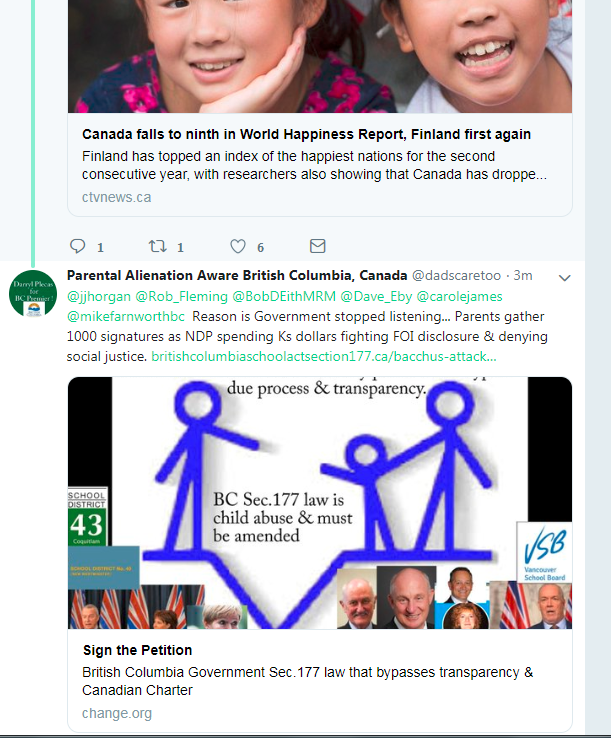 BC Conflict Commish corrupt ? "just so you are aware of who we are trying to provide relief"
VSB's Cardwell freaking out ! BC government spend 1000s of working hours on Twitter. Unfortunately they either ignore citizens or are out to lunch.